Bulgaria is a renowned exporter to more than 70 countries of wine in the main, and grows 3000 vine varieties. Bulgaria is the only country in celebrating a Vine Growers Day, the Day of Trifon Zarezan, when a procession of people in their Sunday clothes go to the vineyards to prune the vines, an ancient ritual, in viticulture regions. 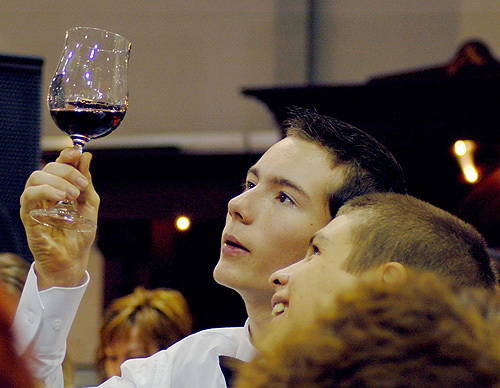 Wine-making in Bulgarian lands is a millennial tradition. It was associated with the Thracian cult of Dionysus. 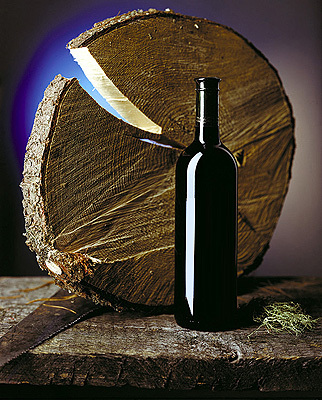 Since ancient times Bulgaria offers a great variety of excellent wines. Some of the labels are well known: Cabernet, Riesling, Pinot Noir and Sauvignon. The GUMZA / from Souhindol, Pavlikeni and Novo Selo/ is similar to Burgundy. The MAVRUD tastes like Bordeaux. It is made from grapes separated from the stems for they absorb part of the spirit of the fermentation substance. The MELNIK wine tastes like Malaga. It is wine one drinks with one's best friends, it is also the wine drunk by men who want to have a baby boy. It is made in Melnik which is perhaps the smallest town in Europe with its 300 inhabitants. A rose called PAMID resembles some of the Beaujolais Nouveau varieties. 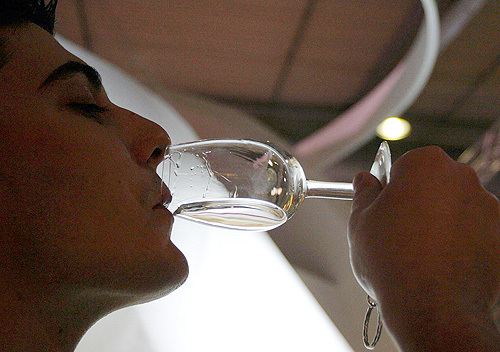 As to the white wines, drink TAMYANKA or DIMYAT which is liked even better. 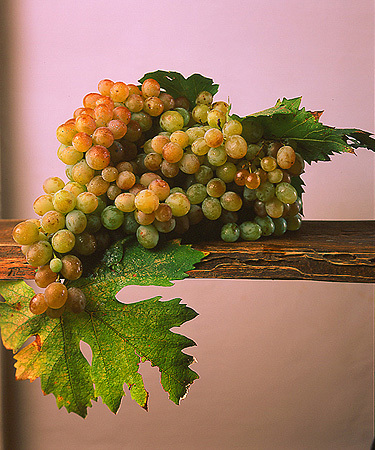 The MUSCADELS /from Soungoulare or Karlovo/ are similar to the Moselle wines. The wormwood wines are very delicate, with a specific flavour. The OSMARSKO is the best wormwood wine. 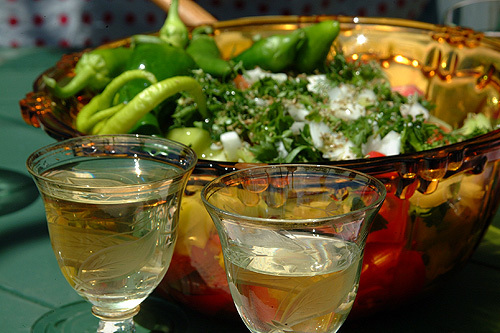 Salads usually go with brandy made of grapes or plums. The best brands are EUXINOGRADSKA, SLIVENSKA PERLA, ROUSENSKA BISSERNA, POMORIISKA, TETEVENSKA, TROYANSKA. Good brandy is at least three years old. The Cognacs served with coffee are excellent. PLISKA is the most preferred one. Ironically the best known Bulgarian cognac was named after the city in which the Bulgarian Khan Kroum passed his cruel laws against wine-making and ordered to uproot vines to prevent drunkenness eleven hundred years ago. PRESLAV and POMORIE are even better, and EUXINOGRAD is unsurpassed. 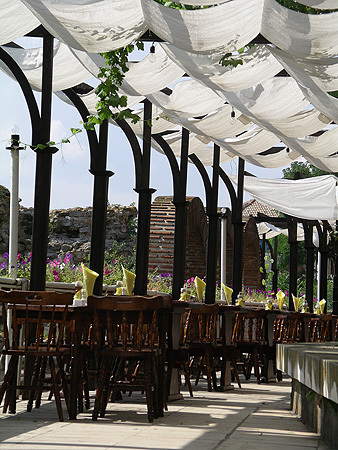 Herewith we have the pleasure to offer you two variants of Wine Tours one starting from Sofia the other one from Varna, and would take you around the most popular wineries in Bulgaria.